Para usar en el sofá. El MediaPad M1 8.0 viene con una rápida CPU Kirin 910, una buena pantalla y buena duración de batería - pero aunque que sus puntos fuertes son muy buenos, su versión desactualizada de Android y algunos problemas de uso en exteriores son decepcionantes. Sin embargo, por menos de 200 Euros es una buena alternativa. Gama media. El sufijo "Pro" del nombre del nuevo tablet Huawei sugiere que tiene algunas características adicionales que lo distinguen de los dispositivos convencionales. Sin embargo, es algo engañoso ya que encontramos un dipositivo gama media normal para usuarios domésticos. No obstante, nuestro análisis revlea por qué no es una desventaja. Evolución. El sucesor al MediaPad M2 de 2015 por fin llegó: den la bienvenida al MediaPad M3. El nuevo modelo puede tener mediciones casi idénticas a las del predecesor, pero trae un panel más grande de más resolución, un procesador más potente, y un lector de huellas. Veremos qué tiene que ofrecer Huawei en nuestro análisis exhaustivo. Acaban de poner en oferta el Huawei MediaPad M3 8.4 Wifi con un precio de tan solo 259,99 euros, con lo que aquéllos que estén buscando un tablet de reducido tamaño muy competitivo por menos de 300 euros, encontrarán en este modelo una excelente opción. 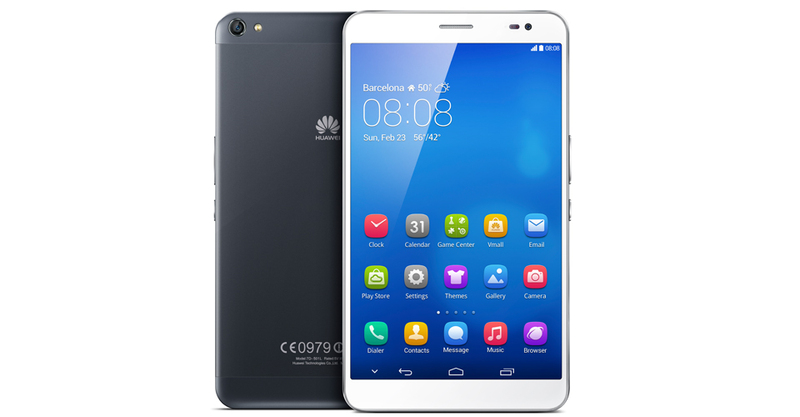 Posiblemente, esta oferta venga motivada por la reciente salida al mercado del Huawei MediaPad M5 8.4, un modelo 90 euros más caro que no mejora sustancialmente al que presentamos a continuación. En conclusión, una vez repasadas las ventajas y desventajas del Huawei MediaPad M3, decir que estamos ante una fantástica tablet que irá sobrada en potencia durante el uso diario más exigente de la mano del procesador Octa-Core HiSilicon Kirin 950. En resumen, este análisis del Huawei MediaPad M3 nos ha traído a una tablet que logra destacar por encima de otros modelos dentro de la gama media ya que reúne grandes especificaciones que nos llevará un rendimiento multimedia de lujo a donde quiera que vayamos, además de un precio indiscutible que no te querrás perder. Ya se puede comprar en España una de los últimos tablets salidos al mercado como es el Huawei MediaPad M3 8.4 LTE que en su versión de 32 GB de memoria interna tiene un precio de 387,92 euros. A continuación veremos qué nos ofrece este tablet Android de 8,4" perteneciente a la gama alta. Huawei MediaPad M3 Quick Review: The Perfect Compromise? The tablet’s performance is pretty good, especially with games like Mobile Legends since the tablet didn’t show any signs of slowing down during the impromptu tournament that Huawei held at the launch with members of the media. Audio output is pretty good as well, along with the performance of that essentially 2K display. The large 5100mAh battery will probably power this tablet for quite a bit before needing to be recharged. Overall I really liked the MediaPad M3. I consider myself “techie-frugal”, in that I like nice stuff that works consistently, but I’ll be darned if I’m paying what the likes of Apple is demanding. Aside from its should-be-better battery life and a power button that's way too easy to whack accidentally, we found little not to like about the Huawei MediaPad M3. It's one of the few flagship-class Android tablets to make its way to our test bench in many a month, and its screen, speakers, metal shell, and excellent fingerprint sensor all impressed. Every tech reviewer wants to find the perfect device and for a little while the Huawei MediaPad M3 certainly seemed like that device, except if you’re hoping to do some 2K pixel resolution gaming. In everything else, like media playback or productivity on the go it is superb, especially with the nice artificial leather case, which looks stylish and can be used as a stand. If you’re looking for a tablet for those purposes, it should fit in most handbags and pouches. On top of everything, the MediaPad M3 is only $299. It’s insane that you can get this much performance and quality out of a device that seems like it should cost twice as much, but Huawei pulled it off. If more manufacturers can release tablets anywhere close to the MediaPad M3, 2017 will be a fantastic year for Android tablets. 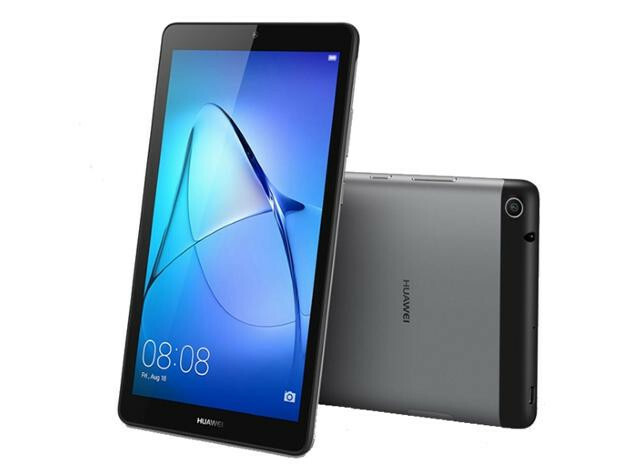 Huawei MediaPad M3 is a premium device, one where the price tag seems reasonable, if you go by the eBay listing. Huawei will bring the device to India, and the pricing should be closer to this range.With the MediaPad M3, you have solid device for media consumption; it is fast, packs a stunning display and has great sound output. Frankly for most regular users tablets have become entertainment consumption devices, and the Huawei MediaPad M3 delivers very well on that front. The Huawei MediaPad M3 is not a bad tablet, in fact, it’s a really great choice if you want a well-built device for browsing the web and watching movies, but until it gets some much needed software tweaks, I’d suggest looking elsewhere for a more refined experience. There's not much else out there at the top-end, with Samsung's Galaxy Tabs hoovering up most of the people that refuse to jump ship to iOS and the iPad, but this could have what it takes to carve out its own little niche. Brilliant build quality makes it perfect for carrying around everywhere. That great screen and fantastic sound help it eat up just about any video or music you can through at it, too. Gaming performance is a little iffy, and that camera isn't much to write home about though. The MediaPad M3 should wow users with its fast speed, high-res display and powerful speakers. The device costs more than most Android tablets, but you get what you pay for. Overall, the MediaPad M3 is an attractive option for Android users looking for a high-performing tablet with a beautiful design. 80% Huawei nails the design of its flagship tablet, but is it enough to tempt people away from its rivals? In a stagnated market, the Huawei MediaPad M3 initially feels a little underwhelming. After extended use though, we reckon it’s a cut above the mid-range, but then again, from €349, you are paying for it. It’s a good alternative to an iPad if you want an Android tablet that’s bigger than an iPad mini but smaller than an iPad Air 2. But, who is specifically looking for that? The MediaPad is excellent and we recommend it, but it lacks a certain ‘wow’ factor that's largely down to the high number of existing Android tablets. The MediaPad 3 is a cut above, but you should also consider Samsung’s Galaxy Tab series for a similarly excellent Android tablet experience. Huawei hasn't announced a U.S. price or release date for the Mediapad M3, and price is going to matter a lot here. With its sharp screen and light, single-handed form factor, the M3 looks like an excellent tablet for reading comics and watching video. But this is a highly competitive market. Looking at tablets with similar high-res screens, the Asus ZenPad Z8 runs for $249 from Verizon, and the iPad mini 4 starts at $299. The M3 has a better aspect ratio than the Z8 does for reading and the iPad mini offers more apps. It's going to have to fit into that price range to be competitive. Check back soon for price and release details, as well as a full review of the final hardware. However, when I first wrote this review, we had no pricing information. Now we have it, it does take a little sheen off the tablet as it's in direct competition with the iPad Mini 4 which is a tough old battle to win. We've only been sent pricing in Euros, but even with an optimistic conversion it's a premium price to match the product. For the 32GB WiFi model, it'll set you back €349. Assuming they go by the standard conversion trick of calling it £299, that's only slightly undercutting the iPad Mini 4. It only gets pricier from there. The LTE 32GB model comes in at €399, as does the 64GB WiFi version. The 64GB LTE version hits €449. There's a lot to like about the Huawei MediaPad M3. It is as much as you might want from a tablet designed to entertain you, a great portal for your browsing, your movies and your gaming. It offers the performance that will satisfy many and avoids the temptation to encourage you to use it for work. It's well built and a pleasure to use. 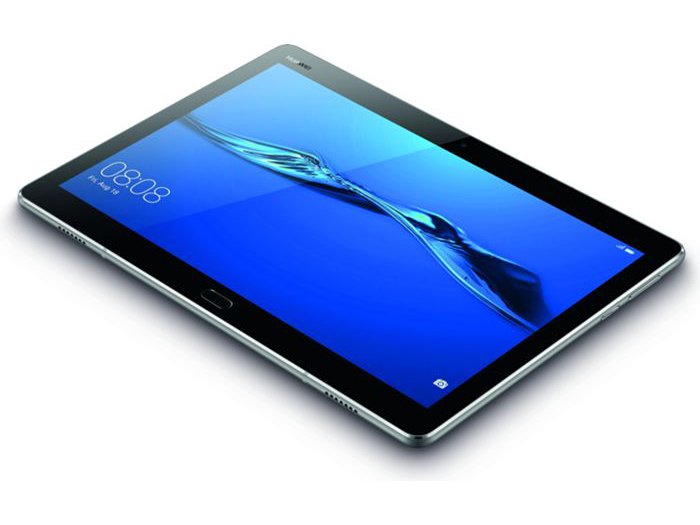 The Huawei MediaPad M3 is a tablet with lots of admirable qualities. High screen resolution, ultra-low weight and speakers that go loud enough to become an anti-social menace in some situations earn a big thumbs-up. It's a pity, then, that the M3 is thrown off balance quite so dramatically by oddly poor gaming performance with high-end titles. The casual games everyone gets obsessed with for weeks at a time run fine, but those with console-like graphics tend to struggle to an extent that's quite rare for a tablet of this quality. I do like the Huawei MediaPad M3, but it’s far from an essential purchase. It doesn’t do anything that a cheaper Android slate doesn’t; it just does those things with an added hit of style. The screen is decent, if overly reflective, and the metal-clad chassis is thin and light yet maintains a solid feel. The speakers, too, are superb for a small tablet. 80% The new 8in tablet king? The 8.4in screen is the big highlight, and if you excuse the slight dip in gaming prowess, the Kirin 950’s sheer processing oomph knocks its rivals for six. Battery life also takes a bit of a hit as a result, but if you want a powerful, compact, premium-feeling Android tablet, then the MediaPad M3 is going to take some beating. The Huawei MediaPad M3 offers an immersive display, great audio and long-lasting battery life and while gaming can be somewhat choppy, it is capable of playing high-end 3D games with few issues. You can also make phone calls with it and performance is a breeze but a generic design, average cameras and a questionable interface mean this won't be a tablet for everyone. If you can get past those shortcomings, it could be one of the best Android tablets currently available. Our first impressions of the Huawei MediaPad M3 are mostly very good. The hardware is excellent and a match for anything else on the market (Apple included), and while performance seems good, Huawei's software is as always its weakest point. There’s a lot to like about the Huawei MediaPad M3. It is as much as you might want from a tablet designed to entertain you, a great portal for your browsing, your movies and your gaming. It offers the performance that will satisfy many and avoids the temptation to encourage you to use it for work. It’s well built and a pleasure to use. 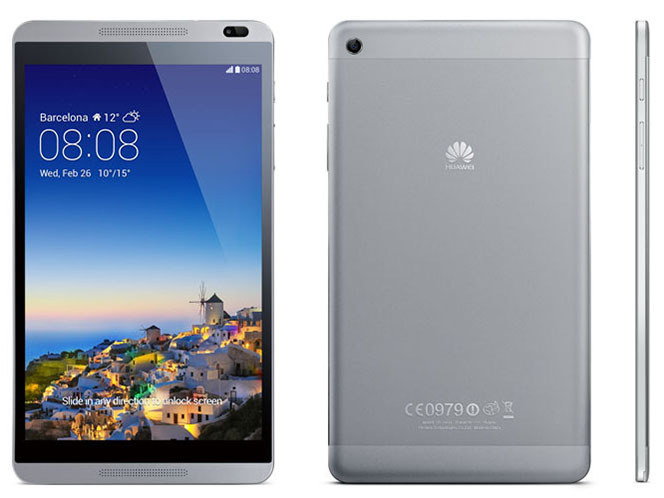 75% Huawei MediaPad M3 der neue iPad Killer? 70% Klingt Gut, Läuft Gut, Alles Gut? Test : la Huawei MediaPad M3, reine des tablettes Android 8 pouces ? 90% Test Huawei MediaPad M3 8.0 : vraie (r)évolution ou simple mise à jour ? 80% Test De La Huawei Mediapad M3 : Un Sérieux Concurrent Pour L'Ipad Mini ? Huawei Mediapad M3. И Один В Поле Воин! El radiocasete entre sus hermanos Huawei ha equipado su MediaPad M3 Lite con un total de cuatro altavoces para producir un paisaje sonoro vívido y potente. Dicho eso, a primera vista el dispositivo es un tablet de medio rango con unos cuantos ases en sus mangas. El titular de este apartado a modo de conclusión de la review de la MediaPad M3 Lite 10 puede sonar a perogrullada, pero no lo es. El precio de una tablet es relativamente bajo y hay opciones low cost para aburrir en el mercado, pero con un rendimiento más que cuestionable en líneas generales. 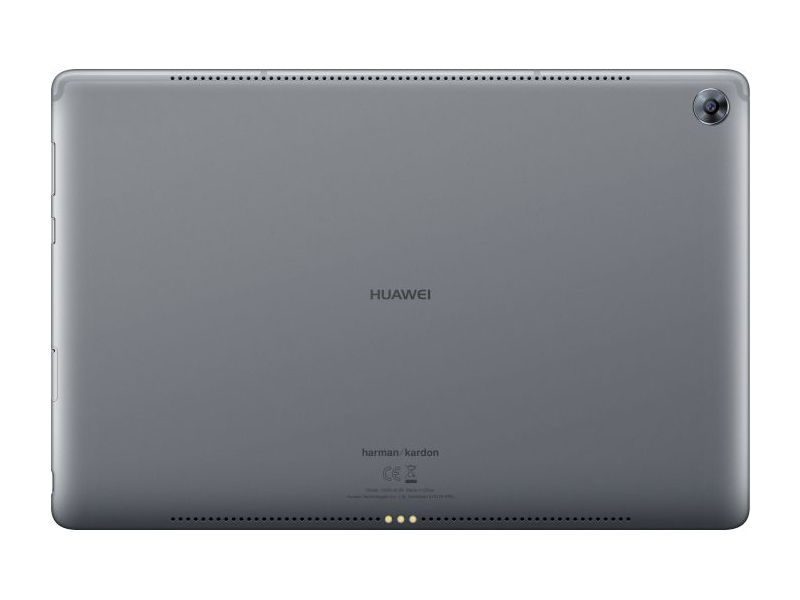 Uno de los nuevos tablets Android de 10,1" que se han presentado últimamente es este Huawei Mediapad M3 Lite 10 que podemos comprar actualmente en la versión LTE con un precio de 316,08 euros y en versión Wifi por 299 euros. Creemos que la versión LTE está mejor posicionada frente a la competencia, por eso será el modelo que comentaremos a continuación. For the price, the Huawei MediaPad M3 Lite 10 is a tablet worth considering with a few caveats. In combination with EMUI 5.1, the Qualcomm Snapdragon 435 CPU and 3GB of flash memory make for a tablet that’s responsive, even after extended periods of use. It’s front-facing camera has a higher megapixel count than many others in the sub-$300 range, which makes this a good device for Skyping with family over a long distance. The speakers and beautiful IPS LCD screen also make consuming content easy to enjoy. For $250, the Huawei MediaPad Lite 10 is a sleek tablet with a big, crisp screen and booming speakers at a reasonable price. Unfortunately, it's just not reasonable enough to compete with the Amazon Fire HD 10, which is available for $100 less and offers the same performance. It's also uncomfortably close in price to the $329 Apple iPad, which offers a faster processor, a sharper screen, and access to Apple's App Store, which still has an advantage over Android when it comes to quality tablet apps. So unless you absolutely need access to Google Play, you're better off paying a lot less for the Fire HD 10 or a bit more for the iPad. 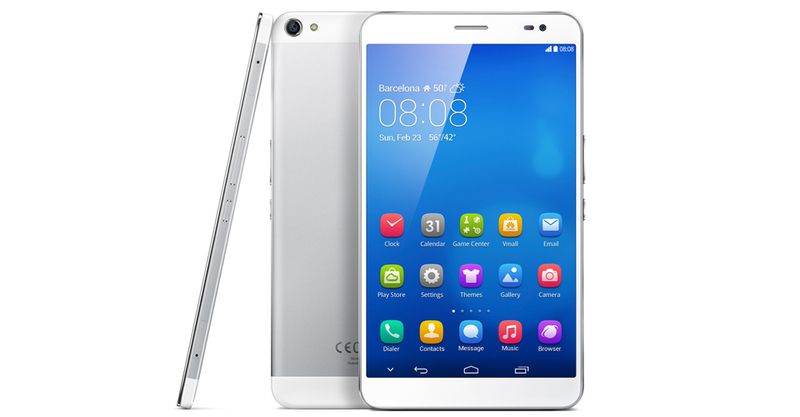 Although the 10-inch Huawei M3 Lite cuts a stylish frame, it's not just about looks. The tablet packs impressive battery life and a crisp display, although it's no benchmark speed demon. I've always been a fan of using tablets for consumption tasks. Historically, I've used an iPad for this, but iPads are getting really expensive, given that Apple keeps adding 'pro' features. Indeed, it seems that the era of consumption tablets is behind us, so I found the MediaPad M3 Lite to be refreshing. 72% Test : Huawei MediaPad M3 Lite 10, la tablette qu'il vous faut pour la rentrée ? 78% Huawei Mediapad M3 Lite - najlepsza alternatywa dla iPada? El Huawei Mediapad T3 7 es uno de los tablets más baratos que podemos comprar. En las últimas horas se ha visto rebajado a tan solo 79 euros y en esta entrada veremos qué ofrece este tablet Android de 7,0" que viene rivalizar con el Amazon Fire, el dispositivo de Amazon que se lleva muchas ventas de esta categoría. Si Huawei se ha propuesto atraer compradores hacia el mercado de tablets, la MediaPad T3 8.0 es un buen intento, aunque quizá insuficiente frente al reto que afronta. No todo depende ya de la marca, sino de los usuarios, acostumbrados a tablets ultra low cost de rendimiento más que cuestionable. En este caso, hablamos de una que ofrece un puntito más en ese sentido, pero cuyo precio supera a las más económicas que se pueden encontrar ahora mismo. Huawei set out to provide an affordable, reliable, connected entry level tablet with the Huawei T3 MediaPad, and in my opinion they have delivered. 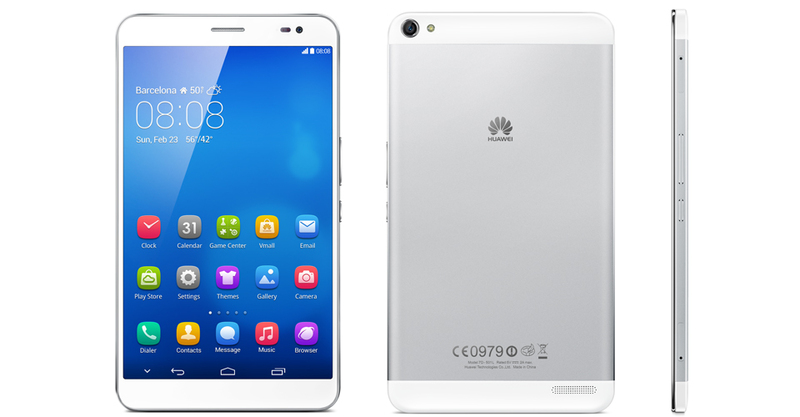 At less than $200 for the device and with a 4G sim slot included Huawei have a device with a difference that could appeal to many people. Lujo chino. Huawei solía contentarse con ser de gama baja. Sin embargo, ahora está ingresando al espacio de gama alta. La MediaPad M5 10.8 es la tableta actual de gama alta de Huawei. Aquí el fabricante muestra su confianza cuando se trata del precio inicial: incluso el nuevo iPad es más barato en determinadas circunstancias. Entonces, la pregunta que tenemos aquí es doble: ¿Huawei está pidiendo demasiado por la nueva tableta o su nueva tableta de gama alta es realmente tan buena? Huawei no sorprendió en el Mobile World Congress con ningún teléfono inteligente pero no desaprovechó la oportunidad que brinda el Congreso y presentó una nueva tableta que los coloca en muy buen lugar. La Huawei MediaPad M5 es la apuesta personal de la compañía para asaltar la gama alta de los más grandes a un precio realmente atractivo. Tener una tablet que analizar no suele ser demasiado frecuente, sobre todo si la tablet es Android. No es que sean inexistentes, pero sí que no son un tipo de dispositivo al que los fabricantes se haya apuntado con fruición. No es el caso de Huawei: la marca dispone de varias tablets con nuestro sistema operativo, una de ellas bastante reciente. Tuve la suerte de analizarla. Después de leer el análisis seguramente tengas claro que el tablet entra de lleno en la gama media premium. No es el más potente ni tampoco monta la mejor cámara del mercado pero sí que tiene un equilibrio más que correcto. Una de las novedades en tablets presentadas en el Mobile World Congress de este año 2018 es el Huawei MediaPad M5 10 Wifi. Pese a que su presentación fue hace 3 días, ya lo podemos comprar en España con un precio de 399 euros. En esta oferta inicial, se incluye unos auriculares Bluetooth deportivos como son los Huawei Sport AM61 BT. En esta entrada vamos a ver qué nos ofrece este tablet de gama alta frente a sus competidores. No puedo concluir este artículo sin mencionar la buena calidad de sonido de esta tablet, por lo que utilizarla para disfrutar nuestras canciones y películas favoritas es una buena idea. Por todo lo que he comentado, creo firmemente que la MediaPad M5 merece ser tenida en cuenta si queremos hacernos con una tablet Android con buenas prestaciones globales y un acabado cuidado. Es uno de esos productos que dejan un «sabor de boca» muy agradable. Huawei has a contender with the M5 Pro, thanks to the tablet's great battery life, nice display and good performance. 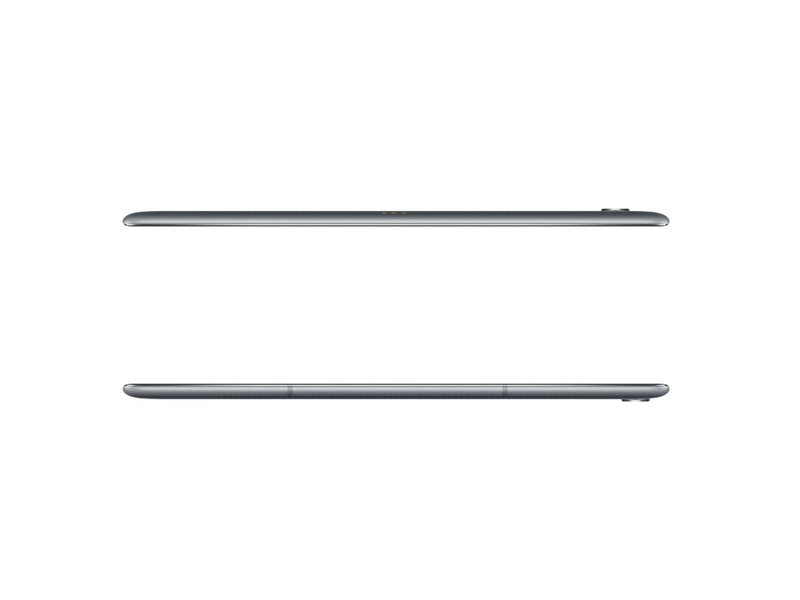 The MediaPad M5, however, is sunk by its short battery life and comparatively small sound. 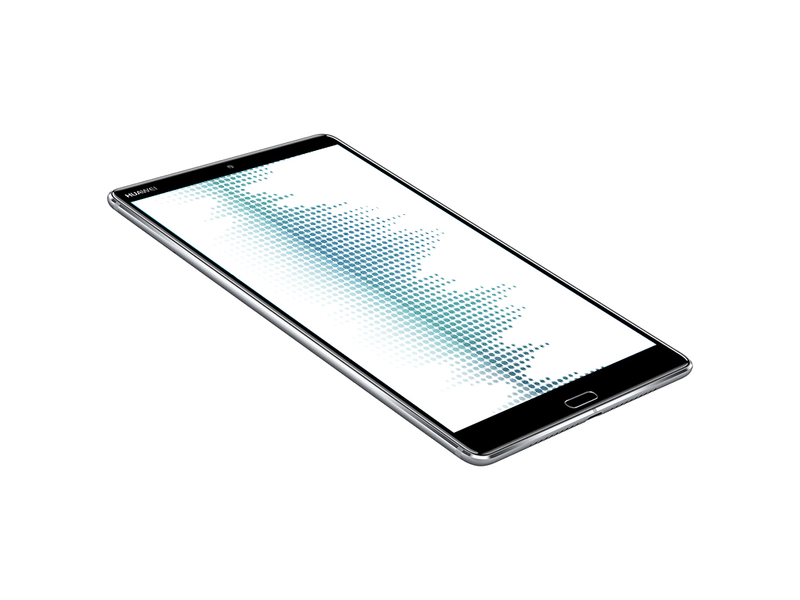 The Huawei MediaPad M5 is really a top-notch piece of hardware. Holding an iPad alongside the M5, you probably wouldn’t be able to tell much of a difference in build quality and looks. The biggest factor for many will be the usability and look of Android apps on this device. You may or may not be bothered by the user experience when it comes to Android. I’d recommend finding a store that sells the M5 and take a look for yourself. Overall, this is a solid device when it comes to hardware. You will have to decide if the software experience fits into your workflow and if your favorite apps are optimized enough for you. Some might say that Huawei created the MediaPad M5 for the sake of creating a tablet as it comes with the previous generation Kirin 960 processor and marketing it as a media tablet but limiting how we consume media by removing the headphone jack. However, it is one of the better Android tablets out there and for the price of RM1,499, it is definitely a good option if you are looking for an Android tablet, as long as you can live with the compromises. Huawei Mate 10 vs. Mate 10 Pro: Which Mate should you get? Having said that, it’s rather unfortunate that Huawei is making consumers choose one feature over another. Instead of coming up with multiple variants, Huawei should’ve concentrated their efforts to craft the perfect smartphone – one that would overthrow the competition in one fell swoop, and one that embodies all the great features of both the Mate 10 and Mate 10 Pro. We’ll update this hands-on review with a proper verdict once we’ve had time to fully benchmark the tablets and also test the new Desktop View mode. Until then, initial impressions are mixed. The standard version could be a good mid-range tablet, but the Pro may struggle against its Windows-based rivals. Huawei's Mediapad M5 could have been the product to face down the $329 iPad, but the larger model costs at least $70 more. Huawei's new MediaPad 5 devices look to be a new range of premium Android tablets that offer top-end specs, but whether they will be worth picking up depends on pricing. The new MediaPad M5 high-end Android tablets deliver good performance for the expected price (to date, rumored at around $400). The slim and elegant form factor is a little thicker than the Samsung Tab S3 but for the 10.8-inch form factor is larger. 84% Edel, stark, zu teuer? 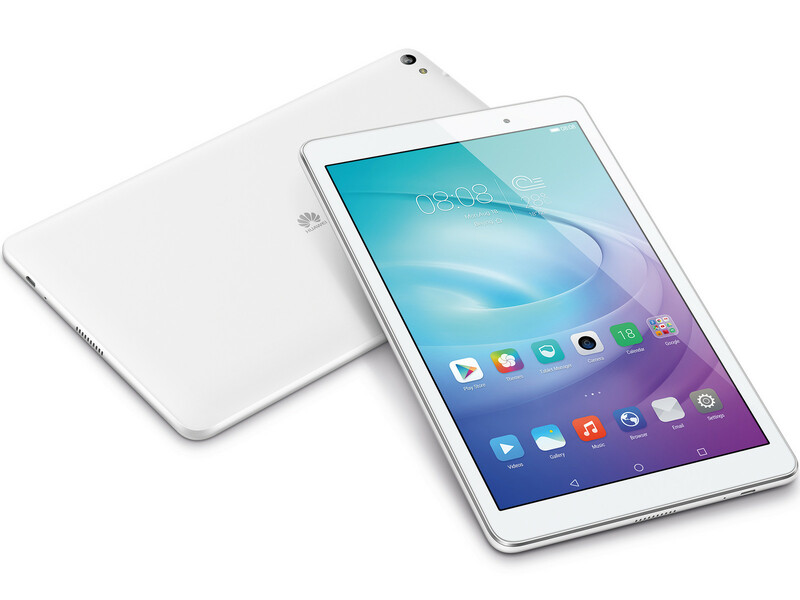 83% Huawei MediaPad M5 10.8 eine Alternative zum iPad? 80% Test Du Huawei Mediapad M5 10,8″ : Une Tablette Comme On N’En Fait Plus ! 71% [Recenzja] Huawei MediaPad M5 10 – czy przekonał mnie do tabletów? 66% Test, recenzja, opinia – Huawei MediaPad M5 10 Tablet – multimedia TAK, produktywność NIE! Pequeño experto en sonido. Las capacidades multimedia y las buenas cámaras siguen siendo consideraciones importantes al comprar una tableta costosa. En papel, el Huawei MediaPad M5 8.4 trae todo lo que es necesario. Entérate aquí, si puede convencernos en la prueba. Actualización a 19/07/18: Este tablet vuelve a estar rebajado desde su precio habitual, ahora con un precio de 279,99 euros, una excelente opción para quien esté buscando un modelo potente con buen diseño de tamaño compacto. Una de las presentaciones de Huawei durante el Mobile World Congress de este año fue el tablet Huawei MediaPad M5 8, un modelo Android de 8,4" de la gama alta que en su versión Wifi de 32 GB se puede comprar con un precio de 349 euros. Este nuevo modelo es un soplo de aire fresco en el catálogo de tablets llevaderos potentes que desde finales de 2016 no se renovaba. En esta entrada veremos qué nos ofrece este dispositivo. Based on what we have stated above, the Huawei MediaPad M5 makes an excellent companion while on the move be it for watching movies, listening to music, or even doing work due to the lightweight nature of the device. Not only that, but it is also fitted with specifications that could handle almost anything you throw at it. 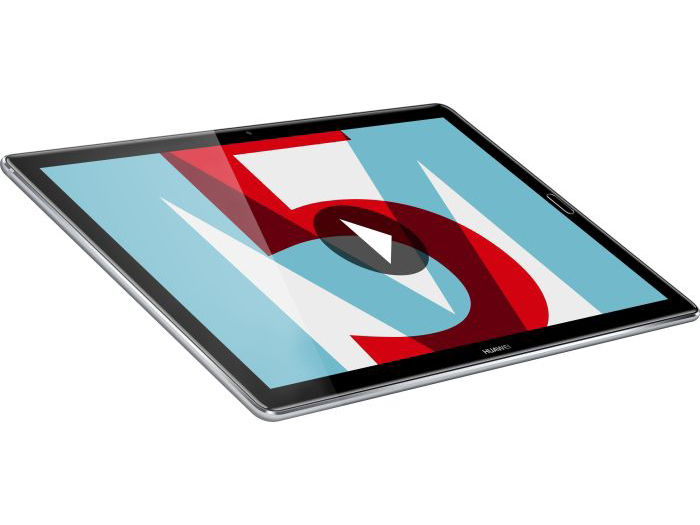 The Huawei MediaPad M5 is an excellent mini tablet for consumption. I think that if you're even reading this review, then you know you want a mini tablet, and I can confidently say that you'll be happy with this one. If you’re in the market for a premium tablet the MediaPad M5 8.4 is an easy-to-recommend alternative to the pricier iPad Mini 4. Great speakers and a bright screen make it ideal for multimedia, while it boasts an excellent design and the freshest version Google’s operating system, Oreo. As was our verdict on the MediaPad M3: the M5 is an above-average tablet which is a good alternative to Samsung’s Galaxy Tab range, and the iPad mini. 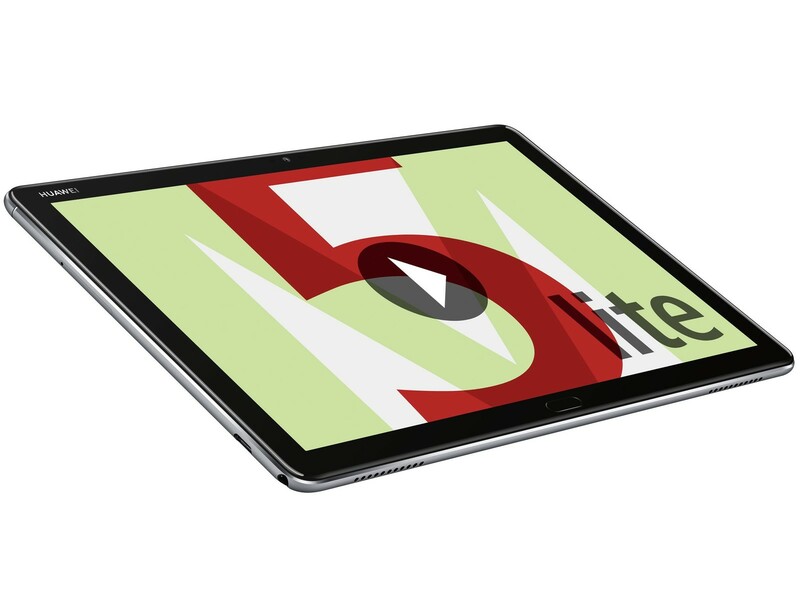 Pricing for the MediaPad M5 starts at 349 Euros and ranges upwards to 599 Euros depending on size, storage, connectivity, and whether you opt for the Pro or standard versions. 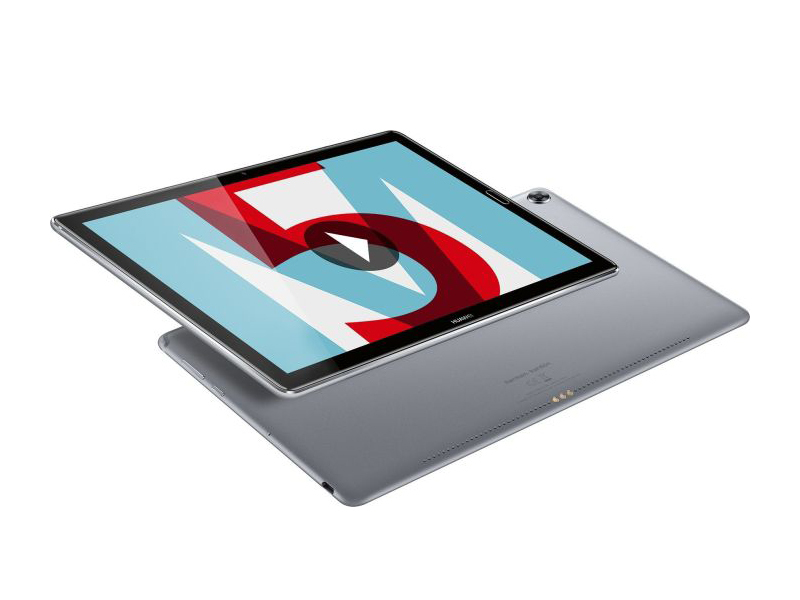 As we mentioned previously, when it comes to Android tablets, the amount of options out there are very limited, but the MediaPad M5 line is a very solid offering from Huawei. These are some of the best Android tablets we’ve seen in a while. They’re well designed with gorgeous displays and fantastically loud speakers that make them great for multimedia purposes. They certainly live up to the MediaPad name, and if you’re into turning your tablet into an on-the-go work station, the M5 Pro offers the appropriate peripherals for both work and play. A small tablet that packs good specs and a nice screen, but the Huawei MediaPad M5 8.4 feels like a missed opportunity. There aren't that many great, small Android tablets out there. 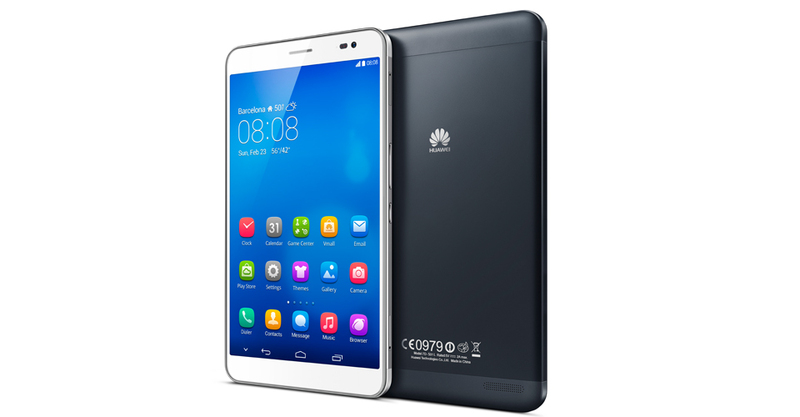 Huawei's newest MediaPad therefore, is a breath of fresh air in a stagnating market. This might well be the competition iPad mini has been crying for. Tablets aren't red-hot tech anymore, but the MediaPad M5 is one of the best small models around - if you don’t fancy an iPad mini, anyway. It’s too soon to say anything definitive about the MediaPad M5 8.4. What we can say is that it’s very similar to the M3, but with a faster processor and better cameras. When we’ve had time to fully put it through its paces we’ll update this article. Das Beste 8 Zoll Android-Tablet in 2018? Huawei MediaPad M5 recenze: Nejlepší tablet roku 2018? Aún más rápido, LTE por defecto y con un lápiz digital incluido: El Huawei MediaPad M5 10.8 Pro es el modelo hermano "sintonizado" del excelente MediaPad M5 10.8. En nuestra revisión, determinamos si la tableta puede lograr resultados igualmente convincentes. El Huawei MediaPad M5 10 Pro se presentó hace tres meses en el MWC de Barcelona como uno de los tablets Android de referencia para este año 2018. Actualmente, encontramos en Media Markt una versión que incluye una funda-teclado con un precio de 549 euros. Con respecto al Huawei MediaPad M5 que ya comentamos aquí, esta versión Pro incorpora la tecnología para tomar notas con un stylus, la funda-teclado y una capacidad de almacenamiento de 64 GB. The Huawei MediaPad M5 Pro breathes much needed life into the premium Android tablet world, toting a pen in the process. It’s also a good tablet, despite imperfect software in places and a reliance on a keyboard case for it to be a true productivity tool. But overall, we feel as though the MediaPad M5 Pro is more than the sum of its parts. It doesn’t have the most powerful processor, the most ram, storage, or the biggest battery. 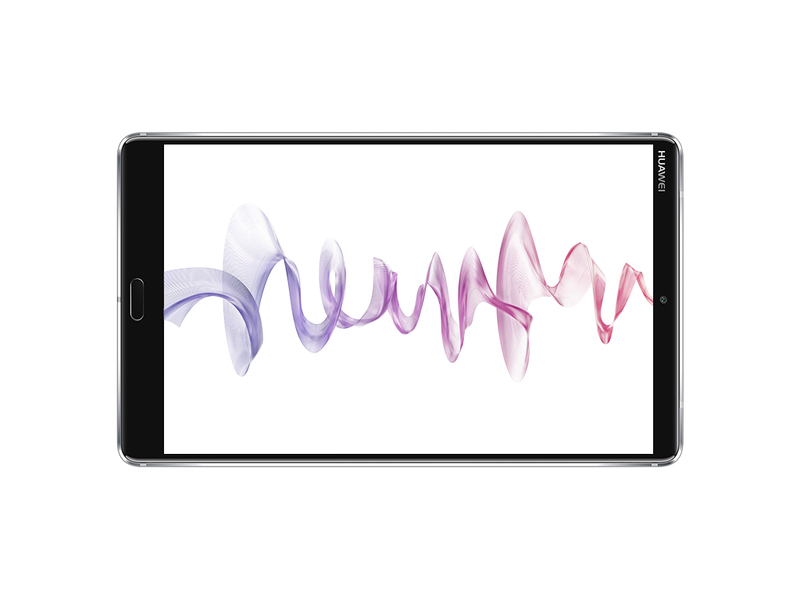 The software isn’t the cleanest or most feature-packed, but we loved every moment with the Huawei MediaPad M5 Pro. From getting some work done to watching way too many Casey Neistat videos on YouTube, it was a pleasure to use. 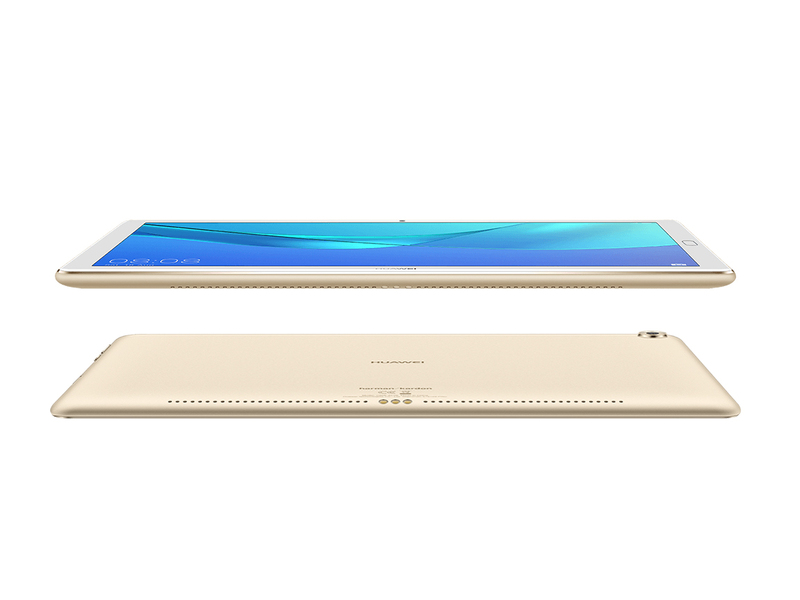 Huawei makes great hardware and tries to bring a good Android tablet to the enterprise. 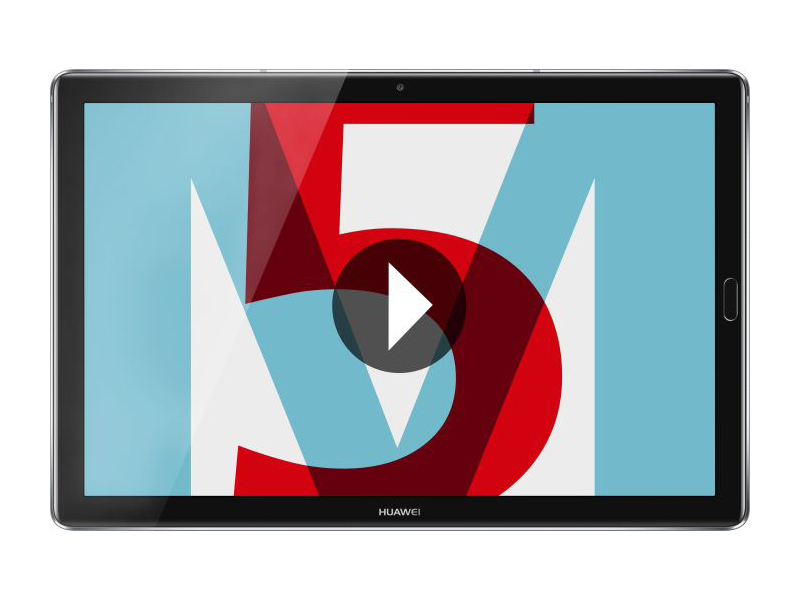 If you must use an Android tablet for work then the MediaPad M5 Pro is a decent option. However, if you are just looking for the best tablet overall, then look at an Apple iPad. It may not be “Pro” enough for some, but this tablet is fun to use and has a great pressure sensitive stylus. The Huawei MediaPad M5 Pro is a tablet that promises a lot, but doesn't quite deliver on its "pro" name in every department. The MediaPad M5 Pro looks fantastic and performs fairly well, but it's let down by small details like the shoddy official keyboard and Android's limited productivity options. Still, it's cheaper than most of its comparable rivals, and will keep most users happy. This tablet may not bury the iPad Pro, but it gets you similar skills for hundreds of pounds less. If you’re after an iPad Pro-style device which runs Android instead, the MediaPad M5 Pro ticks most of those boxes and adds a few advantages of its own. You get the same neat keyboard cover and stylus pen setup, with the added bonus that the pen is actually bundled in the box. That sharp display is perfect for media, while performance and battery life are also top notch. There’s even more value if you’re already rocking a Huawei smartphone. They work well together. Regardless of the phone you own, chances are you’ll easily fall in love (and stay that way) if you choose to buy this slate. Whether you actually need it or not is another question. Huawei MediaPad M5 Pro initial review: Stylus in tow, is this Android's answer to the iPad Pro? In the same breath the M5 Pro isn't especially enthralling; there's no distinctive unique selling point... unless, of course, the to-be-announced price kicks the competition to the kerb. We'll know more about that come Huawei's press conference at Mobile World Congress 2018. 80% Huawei MediaPad M5 Pro - Работа или развлечения? 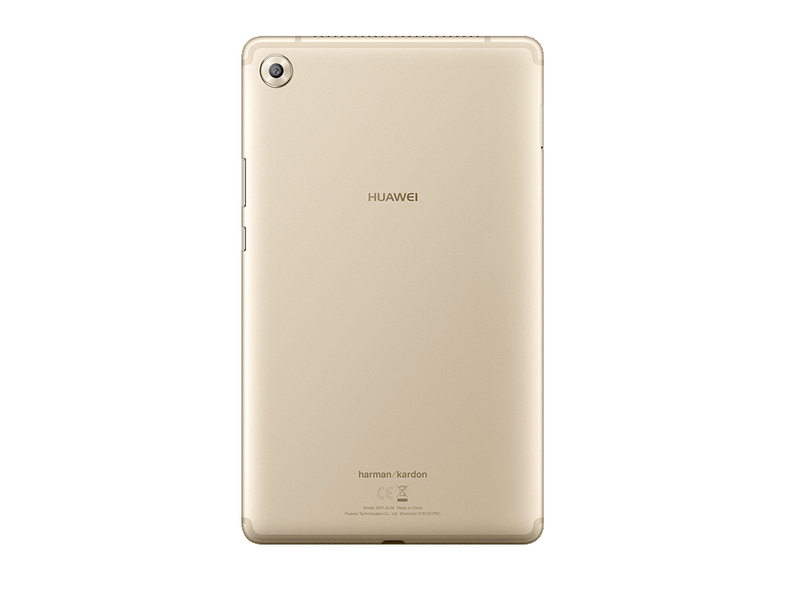 Huawei ha equipado el MediaPad M5 lite con cuatro altavoces, certificados por harman/kardon. Los compradores recibirán una tableta de aspecto elegante de gama media con soporte LTE. Averigua qué más puedes esperar a cambio de £270 (~$350) en nuestra revisión. En la gama de tablets de la actual generación de Huawei, entre el Huawei MediaPad T5 10 y el Huawei MediaPad M5 10.8, encontramos el Huawei MediaPad M5 Lite 10 que podemos comprar con un precio de 255,50 euros. Este modelo Android de 10,1" que compite dentro de la gama media tiene algunas características interesantes, tal y como veremos a continuación. 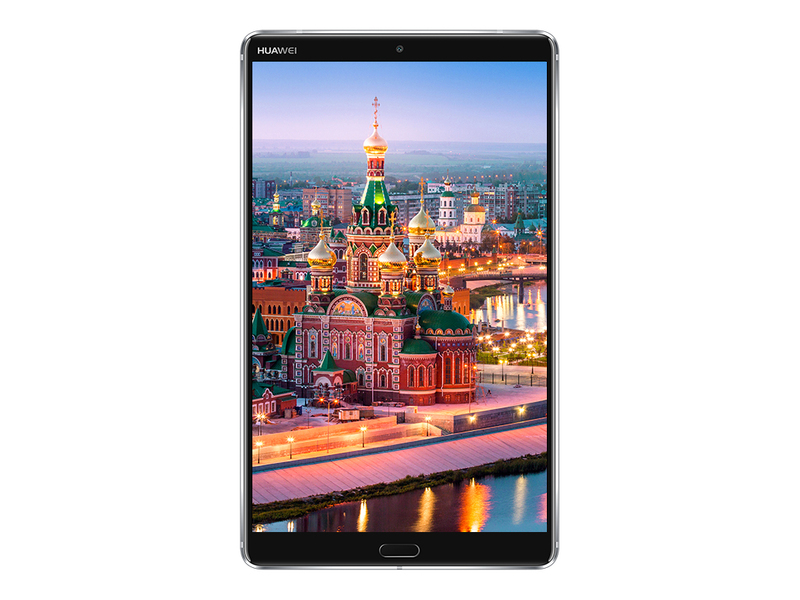 De este tablet existe una versión que incluye el stylus Huawei M-Pen Lite por 329,90 euros. En la gama de tablets de la actual generación de Huawei, entre el Huawei MediaPad T5 10 y el Huawei MediaPad M5 10.8, encontramos el Huawei MediaPad M5 Lite 10 que podemos comprar con un precio de 253,23 euros. Este modelo Android de 10,1" que compite dentro de la gama media tiene algunas características interesantes, tal y como veremos a continuación. 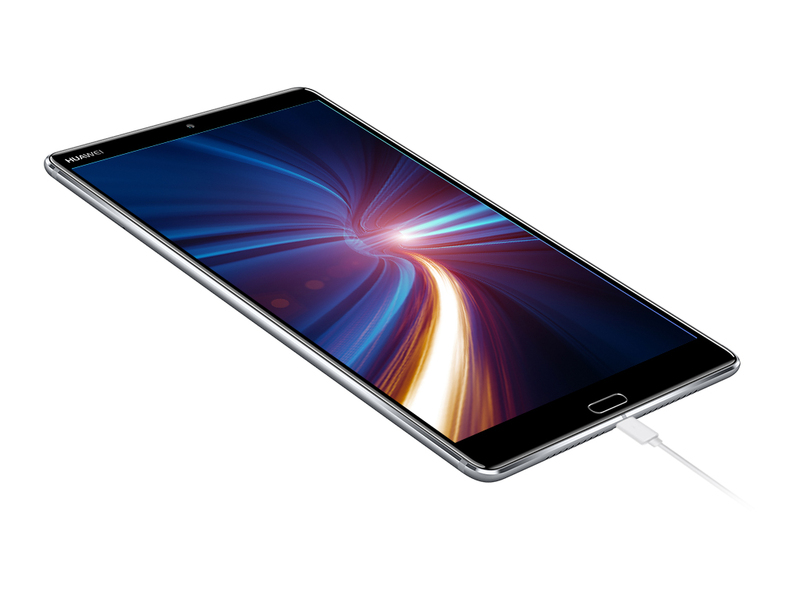 De este tablet existe una versión que incluye el stylus Huawei M-Pen Lite por 299,90 euros. Al fin y al cabo, en una tablet lo importante es que el rendimiento vaya fluido y que la batería cumpla de sobra con un uso exigente durante el día. Lo demás ya son aspectos más relativos: la calidad de la imagen en la pantalla, la versión del sistema operativo, los acabados del diseño... cuantos más "extras" de este tipo quieras, más cara te saldrá la tablet que decidas escoger. Entrada a 30/08/18: En la gama de tablets de la actual generación de Huawei, entre el Huawei MediaPad T5 10 y el Huawei MediaPad M5 10.8, encontramos el Huawei MediaPad M5 Lite 10 que podemos comprar con un precio de 299 euros. Este modelo Android de 10,1" que compite dentro de la gama media tiene algunas características interesantes, tal y como veremos a continuación. La Huawei MediaPad M5 Lite 10 ya está disponible en España, en dos versiones: 300 euros por la versión solo WiFi o 350 euros para el modelo con conectividad de datos. En la gama de tablets de la actual generación de Huawei, entre el Huawei MediaPad T5 10 y el Huawei MediaPad M5 10.8, encontramos el Huawei MediaPad M5 Lite 10 que podemos comprar con un precio de 299 euros. Este modelo Android de 10,1" que compite dentro de la gama media tiene algunas características interesantes, tal y como veremos a continuación. Fabricado con material de alta calidad, el MediaPad T5 de 10 pulgadas de Huawei está equipado con una pantalla FHD y una potente CPU de cuatro núcleos. Descubra lo que puede esperar de una tableta que se vende por alrededor de $230 en nuestra revisión. Actualización a 11/01/19: Bajada puntual de precio a tan solo 156,51 euros, tanto en Amazon como en Fnac, con motivo de la promoción "Ahórrate el IVA" de esta última tienda que se celebra los días 11 y 12 de enero de 2019. Entrada a 17/08/18: Si hasta ahora el Samsung Galaxy Tab A6 10.1 32 GB era el rey indiscutible entre los tablets Android de 10,1" de menos de 200 euros, hace un par de meses llegó al mercado el Huawei MediaPad T5 10 que se puede comprar en oferta puntual en Amazon con un precio de 169 euros en su versión con 16 GB de memoria interna y 2 GB de memoria RAM. Este nuevo tablet se diferencia del modelo de Samsung por montar un chip más potente, tener una construcción de mayor calidad y un sistema operativo más nuevo, pero por contra dispone de menos memoria ROM y resulta algo más caro. En esta entrada veremos qué tal es en base a comentar sus pros y contras. Si hasta ahora el Samsung Galaxy Tab A6 10.1 32 GB era el rey indiscutible entre los tablets Android de 10,1" de menos de 200 euros, hace un par de meses llegó al mercado el Huawei MediaPad T5 10 que se puede comprar en oferta en Amazon con un precio de 169 euros en su versión con 16 GB de memoria interna y 2 GB de memoria RAM. Este nuevo tablet se diferencia del modelo de Samsung por montar un chip más potente, tener una construcción de mayor calidad y un sistema operativo más nuevo, pero por contra dispone de menos memoria ROM y resulta algo más caro. En esta entrada veremos qué tal es en base a comentar sus pros y contras. Si hasta ahora el Samsung Galaxy Tab A6 10.1 32 GB era el rey indiscutible entre los tablets Android de 10,1" de menos de 200 euros, ahora ha llegado al mercado el nuevo Huawei MediaPad T5 10 que se puede comprar en preventa en Amazon con un precio de 199 euros en su versión con 16 GB de memoria interna y 2 GB de memoria RAM. Este nuevo tablet se diferencia del modelo de Samsung por montar un chip más potente, tener una construcción de mayor calidad y un sistema operativo más nuevo, pero por contra dispone de menos memoria ROM y resulta algo más caro. En esta entrada veremos qué tal es en base a comentar sus pros y contras. Muchos juegos son difícilmente ejecutables con estos adaptadores gráficos o se ejecutan de manera muy lenta. ARM Mali-450 MP4: Qualcomm Adreno 308: Estos procesadores gráficos pueden mostrar únicamente juegos antiguos, fluidamente. Juegos actuales pueden ser presentados con detalles sustancialmente reducidos. Tarjeta de vídeo integrada para SoCs basados en ARM. Dependiendo del SoC utilizado, la velocidad es de cerca de 500 MHz y tiene 48 shaders unificados. Tarjeta de vídeo integrada para smartphones y tablets con dos clusters (MP2) que soportan OpenGL ES 3.2. Solución gráfica móvil para tablets y smartphones, que puede ser encontrada en SoCs ARM como el HiSilicon Kirin 950. SoC octa-core basado en ARM con cuatro núcleos Cortex-A72 para tareas de rendimiento y cuatro núcleos Cortex-A53 para ahorras energía. Además, el SoC integra una radio LTE y una GPU ARM Mali-T880 MP4. SoC mainstream octa-core ARM Cortex-A53 con velocidades de hasta 1,4 GHz y la GPU Adreno 505, un controlador de memoria DDR3L-1600, así como un módem X9 LTE (Cat. 7). SoC de nivel de entrada que se anunció en febrero de 2016. Integra 4 núcleos de CPU ARM Cortex-A53 con velocidad de hasta 1,4 GHz, un controlador de memoria LPDDR3 y radios inalámbricas para WiFi y 4G/LTE. Este peso es típico de smartphones. Este peso es típico para pequeños tablets. 80.72%: Esta evaluación es para ser considerada como promedio, porque la cantidad de portátiles con mejores evaluaciones es casi la misma que la cantidad con evaluaciones peores.>> Más información puede ser encontrada en nuestra Guia de compra de portátiles.